Summer and school usually don’t go together unless you’re a homeschooling family. I know some homeschoolers take the summer off, and others like to keep at their routine. We like to switch things up during the summer and add activities that get us out of the house more, on adventures, exploring nature, and are all around fun! Given the opportunity my kids would happily spend the summer sitting on the couch watching Minecraft YouTube videos while I work from home. It’s so easy to get sucked into summer laziness watching tv, or in pajamas typing away on the laptop. That’s why we need to actually plan our summer fun. Don’t get me wrong, we’ll still head outside for an impromptu jump on the trampoline or pile in the car for a trip to the beach. But, like I said, that routine of relaxing around the house can be so easy to slip into during the summer months. I’ve read several posts on Pinterest that suggest great ways to beat summer boredom. My favorites are summer bucket lists, bored jars, and daily schedules. We like a little more flexibility than a set daily schedule, but more routine than a list. 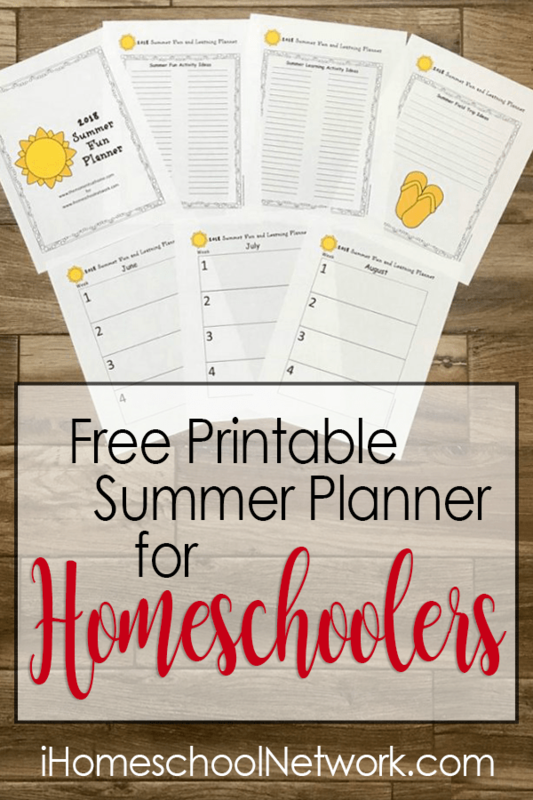 That’s why I’ve created a summer planning printable for homeschooling families that incorporates both learning activities and summer fun! My kids love planning their summer with me and having input on their learning activities. The planner is not just a resource for parents, but also for kids too. Summer is such a fun time to enjoy the sunshine and learn through play! 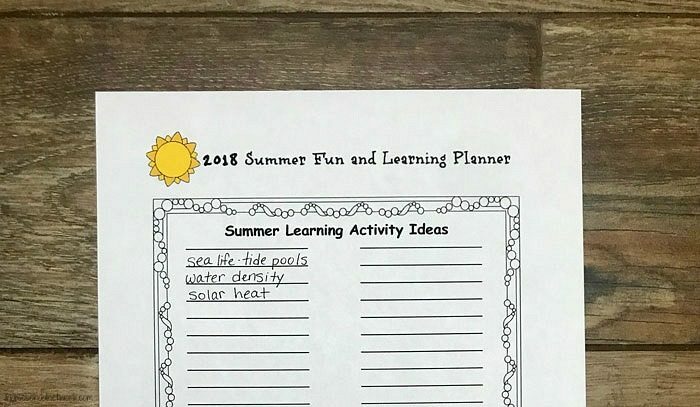 Spend a few afternoons this spring brainstorming activities that your kids would like to do this summer and subjects you would like them to learn about before fall. Then merge those lists in this summer planner! 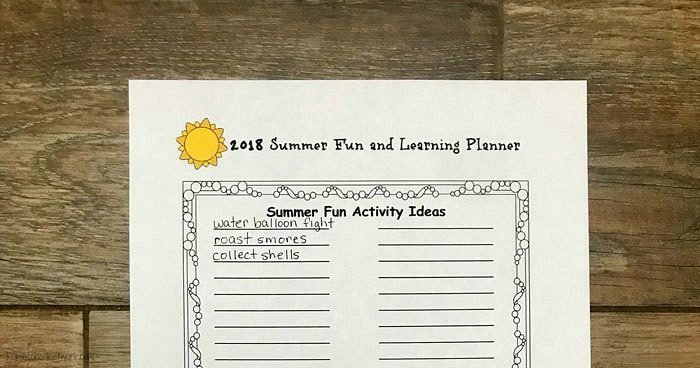 The summer planner printable includes a page for kids and parents to list ideas for fun summer activities, a page to list summer learning ideas, and a page to write down ideas for field trips you can go on as a family. The three separate pages for June, July, and August are where you tie these ideas together. Need more ideas for fun summer activities? I’ve listed a few of my favorites below! Make music with a garden xylophone. 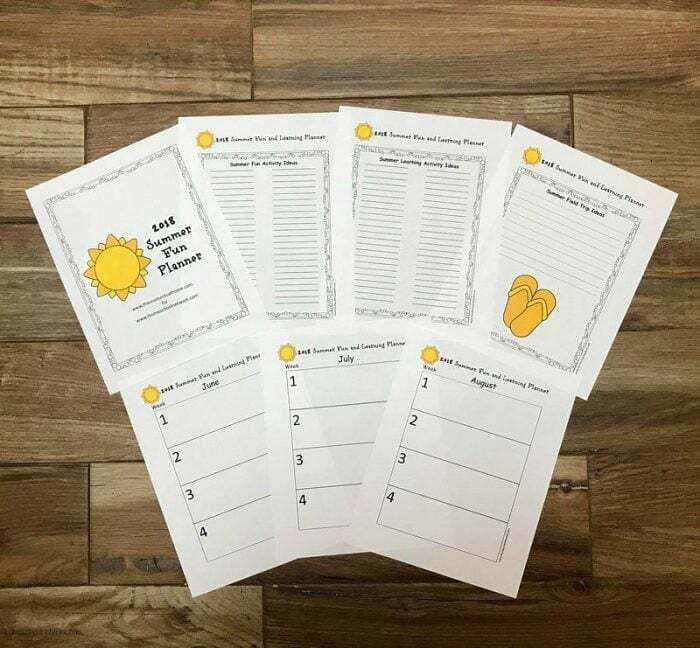 Start a farm unit with these farm-themed preschool worksheets and go on a field trip to a farm. Learn about space, star gaze, and do these printable dot to dot constellations. Go on a scavenger hunt at the beach or at the aquarium. Learn about sea creatures and spend time exploring tide pools. Print your Summer Planner here! Rebecca writes at The Moments at Home about enjoying homeschooling through art activities, nature exploration, printable learning worksheets, and more family friendly activities.